The following information is found in the Weekly Message from the Superintendent dated January 29, 2019. For registration links and more detailed information, please refer to the Weekly Message. Student Choice is a great way to differentiate instruction allowing students to explore mathematical concepts in activities that engage their talents and interests. Choice also encourages student agency, a key factor in educational equity. Cheryl Beasley, a math consultant in northern Illinois, will share strategies that allow for choice in mathematics. Choice Boards samples will be shared during this call. Join us to explore new resources, share your experiences, and ask questions about how student choice can strengthen math instruction. 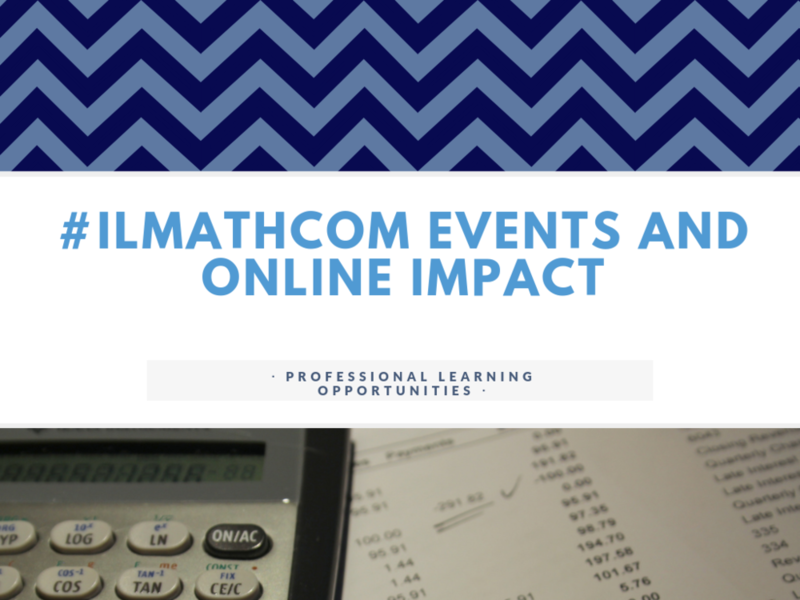 Registration is open for the Online Impact workshops listed below.